Boar bristle hairbrushes aren’t meant for detangling your hair; that should be done with a wide-toothed comb. Instead, the brushes help clean your hair and properly distribute the beneficial oils, or sebum, produced in your scalp. An appropriate boar bristle brush will also massage your scalp and seal the cuticles of your hair so that each hair appears glossy and lustrous. Look for boar bristle hairbrushes that use only the first cut of boar bristles. This means the bristles on the brush are taken from the bulb end of the bristles, which has a rounded tip that is gentle on the scalp. 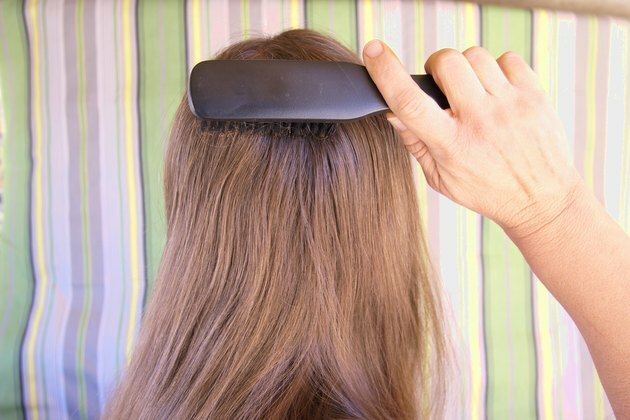 Make sure the bristles are long enough to contact and massage your scalp, when run through your hair. This would mean passing the brush through your hair a few times—perhaps after purchasing it and taking it home. If returning the brush or testing it in the store is not possible, choose the bristle length based on the bristle length on other hairbrushes you’ve found useful in the past. 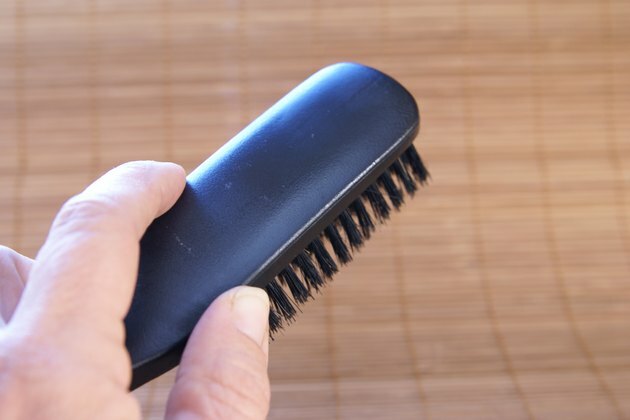 Avoid hard boar bristle hairbrushes or brushes with some nylon bristles, if your hair is thin or thinning. 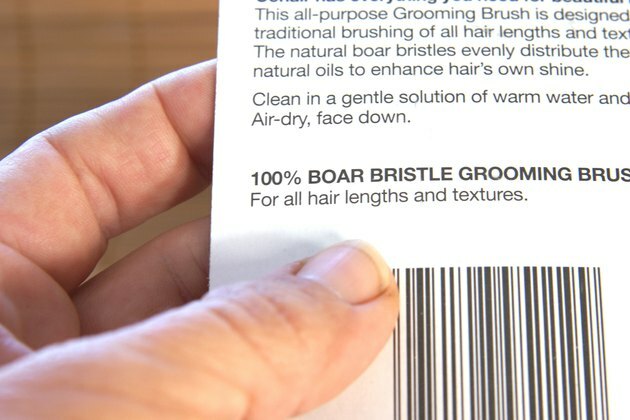 Look for brushes made of 100 percent boar bristles that are relatively soft to the touch. 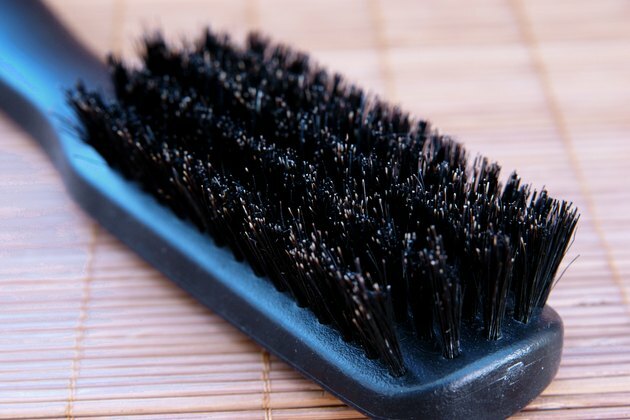 People with thick or curly hair will want harder bristles and may even want boar bristle mixed with nylon bristles, which gives you the benefits of boar bristle brushes, while nylon supplies the necessary toughness to penetrate thick hair and massage the scalp. Select your hairbrush shape according to your hair type. To add extra volume and body, use a round brush that your hair is long enough to wrap around at least once. 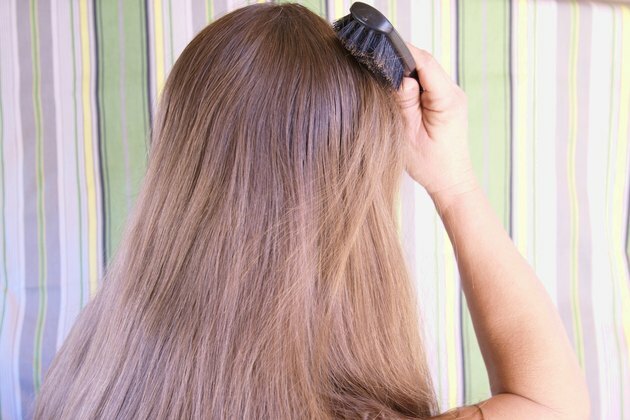 For extra-long hair, consider a paddle-type brush to smooth it out. For fine or thin hair, use a narrower brush with more widely spaced bristles, to avoid pulling your own hair out or damaging it.